Something which I often talk about on this blog is the importance of saving time time and the tools and strategies I use to do so. Since deciding to base myself in Mexico City and continuing with my digital nomad lifestyle, I have started to use a great deal of phone applications and online resources to really streamline a number of daily tasks in my life. I wanted to share some of the best services which I have found here in Mexico, so that you too can make use of them during your time here. 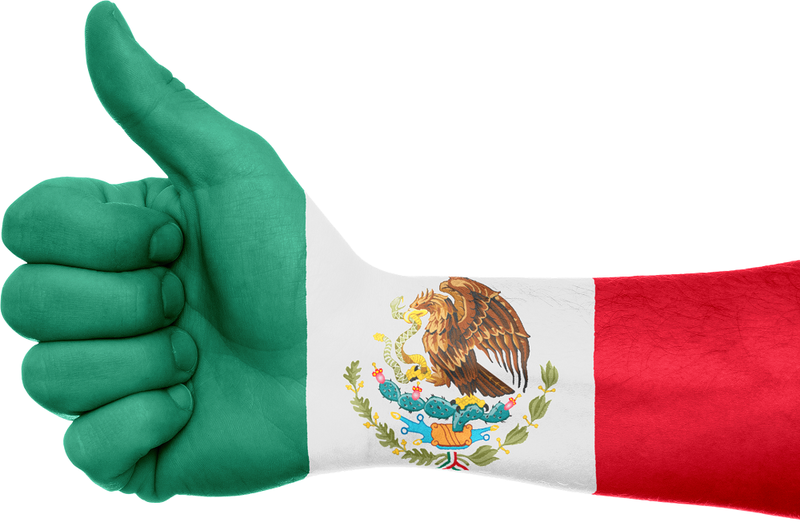 Where eBay exists in other countries, Mexico offers a similar service in Mercado Libre, a great e-commerce site where I have purchased several products already. The website is super easy to use and features a selection of private sellers and online stores who sell a huge range of products. Whether you are looking for furniture, games, second hand goods or vehicles, this is the place to find them. Amazon is probably the most legit company there is, and when I found out Amazon came to Mexico, I got on my knees and thanked the sweet lord. It is really a one-stop shop for pretty much everything you need for your home, your work or your lifestyle in general. I recently purchased Amazon Prime too which is a great option for cheaper (and or free)/faster deliveries, as well as access to the Amazon Video’s huge range of TV shows and films which is included. Need more razor heads, boom, delivered same day or the next. The product listings aren’t as deep as in the US or UK, but growing everyday. Segundamano literally means ‘second hand’ and this website is a haven of products which people are selling locally. What I love about this site is that you can even use it to look for houses and rooms to rent, furniture, tech and many other pre-loved items. The website gives you the chance to break down your search into categories, price range and different localities, is easy to use and you can find some great bargains here. Vivaanuncios acts as a modern day version of the classifieds which you would have once found in the back of magazines and newspapers in the days of yore. Here you will find things going on in your area, items for sale, rooms for rent and vehicles up for grabs. I regularly check in on the site to see if there is anything interesting from furniture for my apartment or accessories for my motorcycle. The secondhand marketplace in Mexico is pumping, and you can often sell things you bought new for only a 10 or 20 percent reduction from retail. This means not only take good care of your stuff, but also, don’t bother buying things new if you can help it. Facebook Marketplace is used extensively by people in Mexico and you can literally find anything. You can also set notifications for things you want, and when somebody lists it, you’ll get a notification. Searching for properties to buy or rent isn’t always easy here in Mexico City and it can be quite time consuming to walk the streets on the look out for properties available. For this reason, Casatrovit is the best online resource to help you save some time when it comes to your property search. The website allows you to select a specific location in the city and it will find properties available along with specific details about the property and the contact details of the owners. If you are on the lookout for house/apartment, this is a great site to use. Uber in Mexico has really taken over the taxi and ride-sharing market and this is most certainly the case here in Mexico City. I use Uber in Mexico City to go pretty much everywhere, and not only is it a far safer option than taking a local taxi, it is invariably cheaper and the service, and the cars, are far superior. If you haven’t tried Uber in Mexico yet, use my Uber coupon code: “jeremya15″ and you’ll get 50 mxn off 3 rides! 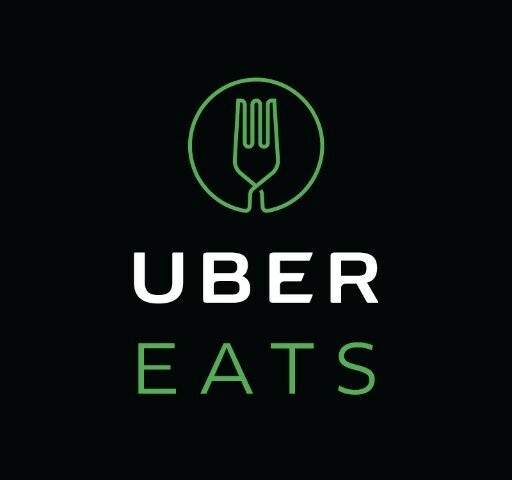 Uber recently launched UberEats in Mexico, a food and drink delivery service which works in conjunction with a huge selection of restaurants, ice cream shops, liquor stores, and more!. I use this app at least 3 or 4 times per week. It’s so easy to use, simply select your restaurant and your order, pay via debit/credit card or PayPal and then wait for that knock at the door! If you haven’t tried Ubereats yet, give it a shot, it’s awesome. Use my exclusive Ubereats promo code: “eats-jeremya15”, and you’ll get 100 mxn off your first order, that’s more than enough for a free meal! Rappi is kind of like Uber Eats on steroids and this app goes above and beyond just bringing food to your door. If you use Rappi you can get just about anything delivered to your home. Whether you are looking to have groceries delivered, medicine from the pharmacy, cash delivered to the house or something from a local hardware store, Rappi delivers. This is a great app for busy people and those who don’t have time for the minutiae of life. Find Rappi in the app store for both Apple and Android. Use my exclusive Rappi promo code: “jeremy555872” and get 100 mxn off your first order of 200 mxn or more! Lentesplus is the perfect online resource for anyone like myself who uses contact lenses. It doesn’t matter how well you plan, the situation can always arise where you haven’t got any lenses and you need some quickly. In order to save yourself the trouble of heading out to buy some, simply head to the Lentesplus website and order what you need for home delivery. An additional bonus to this service is that they’ll give you same day delivery in Mexico City if you order before 11am. I have used the service on more than one occasion and thought that their products, their service and their professionalism was great. It is usually much cheaper than buying contact lenses at a glasses store as well. The weather in Mexico can change very rapidly, and believe it or not, a lot of places can actually experience four seasons in a day. This can cause you an issue if you aren’t prepared so it’s always worth checking the live weather updates, and many websites that foreigners are accustomed to using like WeatherChannel.com don’t show radar maps for Mexico. The best and most detailed info for weather which I’ve found is from the Mexican National Meteorological Service and it provides the most accurate and up-to-date weather conditions. Radarcisalud is a free application and an excellent tool for anyone with health concerns or who wants to be on the front foot when it comes to possible illnesses or emergencies. The application can put you in touch with over 28,000 public, private and social health facilities and in some cases can offer a consultancy directly through the app. This is a service offered by the National Health Service in Mexico and you can preload all of your medical details so that should something happen to you, doctors will be able to check your medical history at speed. The app can also provide you with a great deal of medical information such as a symptom checker, information on medical treatments and a list of medical resources which you can use from local pharmacies to hospital options. Nobody wants to think about the possibility of an earthquake but as recent history has shown us, Mexico City is very susceptible to tremors. In order to stay ahead of the game and make sure that you have time to get to safety before a quake, you need to download the SkyAlert application. The app signals an alarm 120 seconds before a quake hits (most of the time) which gives you plenty of time to get to a safe place. People think it won’t happen to them but it really could and with this application, you can ensure that you are in a safe place when the tremor hits. There are quite a few different cinema companies operating in Mexico City and Cine+ is the perfect app to find the movie which you want to see, where you want to see it and at what time. The app aggregates all of the local cinema information so that you don’t need to search through each one. If you love the movies, this is an application which you really must download. Timeout Mexico is a great resource for what’s going on in Mexico City from restaurants, art shows, special events, and much more, Timeout is on the beat and knows what’s happening. They have a great website as well as an app. If you are an ex-pat living in Mexico City, using these applications and online resources can save you a great amount of time day-to-day, as well as keep you happy and healthy! Travel Package Deals: Are You Really Saving? Great list, man! I definitely learned about a few new services that I’ll have to try now. Facebook marketplace is excellent for selling in my experience, but I didn’t know that you could get notifications for items you want. Yea the notifications is a great feature! As an expat, how we’re you able to purchase things off of Mercado libre? I tried to buy something, and they would not accept my credit card..
I’ve got a local debit card now. You can go to BBVA Bancomer bank and set up a “cuenta express”, it’s basically an atm card, doesn’t have your name on the actual card but works online for everything. Bring your passport and if they ask you any questions just say you’re getting it to sign up for ecobici (if you’re in Mexico City). Thanks for the tips, ill look into uber eats. I just came to DF from New York, I’ll be trying to update my travel blog as well. Having seen you use some of these apps in real time, I may soon be venturing beyond Amazon Prime. Uber was definitely awesome in Mexico City. The two times we used regular taxis, the driver didn’t have a clue where we were going and had to borrow my phone to use the GPS. Uber drivers were courteous and their cars immaculate. Of course, they rely on GPS and the Uber driver app to work with Uber, so they’re all set to know where you’re going and whether they should reroute because of traffic. I saw the HGTV Mexico City home search and it was sooo refreshing to find someone who loves the city as I do! I first went in 1974, and fell in love with everything the city has to offer. I returned every year until 2009. For 13 years I even had my own travel company sharing Mexico and other Spanish speaking countries with groups of teachers, students and Girl Scouts!! I loved every minute and was usually based in the city 2 or 3 months a year. From your blog I can see a lot has changed, but the historic sites and the wonderful people will always be there. 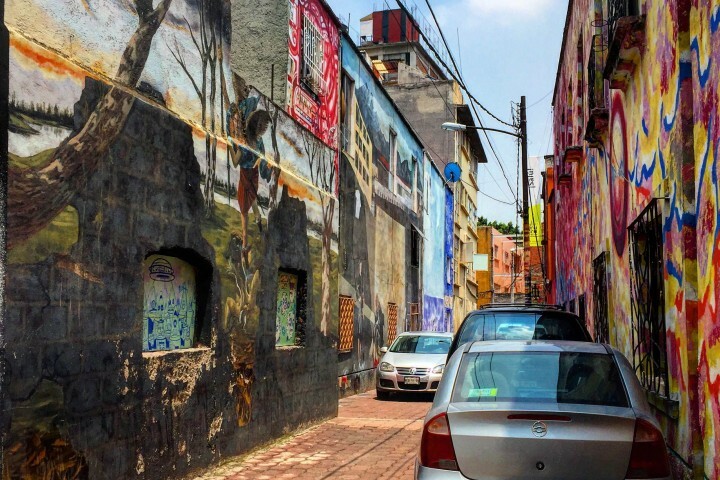 I love the area you chose to live in, have spent a lot of time in both the colonial, Roma and Condesa. I wish you the best and thank you for expressing such positive viewpoints for one of the largest, most beautiful and awesome cities there ever was! Great list man. According to me this all listed apps are important in every country except Mexico. As Amazon has it’s market across the world. This is a great list for anyone like me who is clueless about foreign travel. All I have ever been to is inside India and I do it fervently, mind you, but now I am planning my first-ever trip to Latin America and starting with Mexico. It just seems like my kinda place with tacos and stuff and I also have friends there. This is really gonna come in handy when I fly there in May this year. Thanks. That’s very informative for us. It’s a good job Thank you. It will help us for visiting.